GeekGirlCon ‘13 Kicks Off in Seattle to Celebrate the Female Geek. Third annual convention includes panels, special events, gaming, and more. TwoOhSix.com will be there to bring you all the highlights! The following information regarding the event was issued as a press release from the GeekGirlCon staff. TwoOhSix.com will be at the event covering just about anything and everything we can get to including panels, exhibits, the costume contest, and of course, the fans. 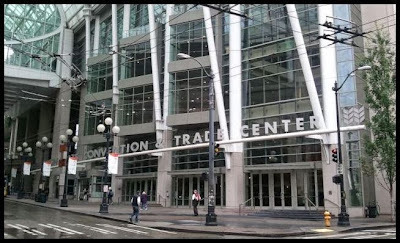 Seattle, Wash. — GeekGirlCon ‘13, the third annual convention organized by GeekGirlCon, takes place Oct. 19 and 20 in Seattle. The convention is dedicated to celebrating and honoring the legacy of women in all aspects of geek culture, including science and technology; comics, the arts, and literature; and game play and game design. Saturday and Sunday programming will feature panel discussions, hands-on workshops including a Do-It-Yourself (DIY) Science Zone, and lively interactive sessions ranging from topics as diverse as fandom and pop culture, the portrayal of women and race in geek culture, crafting and cosplay, science and technology, comic books, and the video game industry. Those attending GeekGirlCon ‘13 include actress Denise Crosby, who played Lt. Tasha Yar on Star Trek: The Next Generation; puppeteer Karen Prell, who will be joined by Red Fraggle courtesy of The Jim Henson Company; Jane Espenson, writer for Buffy the Vampire Slayer and producer of the hit web series Husbands; comic book author Kelly Sue DeConnick; and professional cosplayer Chaka Cumberbatch. “Every year, our community produces high-quality programming that is both informative and inspiring. Contributors outdid themselves this year, and I cannot wait for attendees to enjoy our diverse set of panels, events, and workshops. 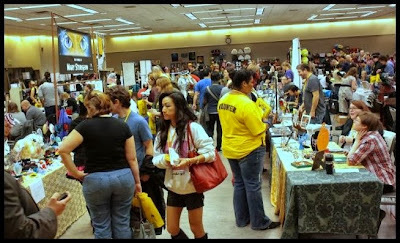 There truly is something for everyone at GeekGirlCon ‘13,” said Jennifer K. Stuller, director of programming and events at GeekGirlCon. Although women fill close to half of all U.S. jobs, they hold less than 25 percent of STEM (science, technology, engineering, and math) jobs. The GeekGirlConnections program aims to give women the tools they need to pursue and get hired in STEM and other career fields like comics and gaming. In the GeekGirlConnections Room, attendees can join career-focused panel discussions, network one-on-one with people working in their desired career fields, and receive personalized feedback on their work. Women make up 45 percent of all video game players, and GeekGirlCon expanded its Gaming floor to meet this growing demand. The convention will feature a range of tabletop and role-playing games (RPGs) to explore, workshops on topics like game design, live action role play (LARP) sessions, and console gaming sponsored by EA and PopCap Games. “In our effort to continue supporting women and girls in the areas of STEM careers and education, EA is proud to be a major sponsor of GeekGirlCon for the third year in a row. Not only will our game room be returning so fans can play some of our awesome games, but we will also be giving back to community by having a charity raffle drawing,” said Kelsey Wesley, global diversity & inclusion specialist at EA. Attendees will have a chance to win EA and PopCap prizes, with all contributions being donated to the local Seattle nonprofit IGNITE. GeekGirlCon ‘13 is a family-friendly convention, with a number of programming, games, and events geared toward children. Twenty percent of all attendees at previous GeekGirlCon conventions were children under the age of 10. Passes are free for children under 4, and only $5 for children ages 5 to 10 for the whole weekend. Adults must accompany minors under age 16. Regular two-day passes are $45, and Saturday or Sunday passes are $30 each. They are available online until Thursday, Oct. 17, and at the door. GeekGirlCon ‘13 welcomes all ages, races, sexual orientations, gender identities, creeds, physical and mental abilities, and familial statuses. To learn more, visit www.geekgirlcon.com/con. GeekGirlCon is an organization that works to empower women and girls to pursue their passions—whether they love science and technology, comics, literature, gaming, or anything else. 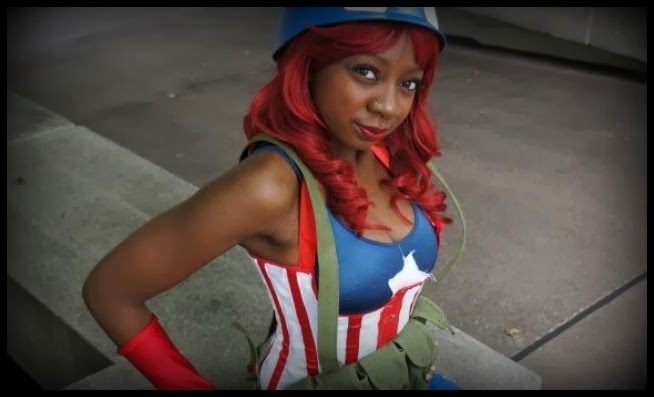 GeekGirlCon’s largest event is a two-day convention that gives female geeks and their supporters the opportunity to build a community, share facts and fandom, and learn how they can help promote the role of women and other underrepresented groups in geek culture. The organization, led by an all-volunteer staff, also brings people together through social media and events in the Greater Seattle area. Learn more at www.geekgirlcon.com. 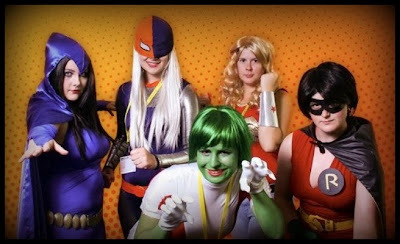 Follow GeekGirlCon on Twitter, Facebook, and Pinterest.